A new digital magazine that aims to take a more analytic, in-depth and participatory approach to investigative journalism in Luxembourg has raised more than €150,000 in crowdfunding ahead of its launch in March 2018. 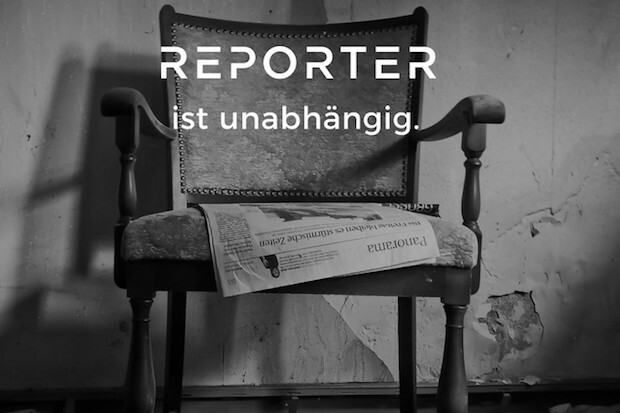 Journalists Christoph Bumb and Laurence Bervard, who previously worked for daily newspaper Luxemburger Wort, founded Reporter because they thought there was a need for a new type of media in Luxembourg: digital-only, independent, supported solely by readers, and involving the audience in the reporting process. Bumb and Bervard set up a crowdfunding campaign for Reporter on 15 November to raise the amount needed to get started with hiring a small editorial team and developing a platform that would support reader participation. Their goal was to have 1,000 supporters contributing a minimum of €150 each until 20 December, which covers the cost of a basic annual subscription to the magazine and allows them to read and comment on all stories published on the website, although people can also pledge a smaller amount without becoming subscribers. Those pledging €300 or more receive additional access to a regular virtual editorial conference and free participation in events Reporter will host, such as roundtable discussions and workshops, as well as longer term subscriptions depending on the amount they contribute. The money was raised less than two weeks later, on 28 November, and so far, 773 people have pledged €163,035 to support the new editorial initiative. The team has increased the goal to €200,000, with additional contributions going into development and expanding the editorial network of full-time staff and freelancers. In the initial stages, Reporter will mainly focus on covering issues related to politics and economics in Luxembourg's financial sector, Bumb told Journalism.co.uk. The coverage will be mostly in German, with some occasional pieces published in French and English. The goal is to provide readers with at least one large, in-depth story per day, as well as give background on these topics through additional analysis, interviews and comment pieces in the form of written articles, podcasts or videos. Some smaller pieces will be available for free on the website, but most of the content will be placed behind the paywall, with an opportunity to develop additional subscription or membership models down the line. Subscribers will be able to propose topics they would like to see covered and discuss them with the journalists, as well as bring their expertise into the reporting process, inspired by the model of De Correspondent, Bumb said. "That's something we were really interested in, to have a different approach to researching an article and to have members take part in the early process of reporting." Luxembourg's media landscape is still dominated mostly by traditional news outlets, he added, and there are no digital pure players that are not linked to a legacy media brand. The founders wanted to highlight the importance of having a new online publication that is politically independent and doesn't rely on advertising. Bumb pointed to a recent debate in the media, when the editor-in-chief of Luxemburger Wort, Jean-Lou Siweck, reportedly left the paper due to pressure exerted by board chairman and politician Luc Frieden for the title to be more favourable towards the country's Christian Social People's party. "You never know how a crowdfunding campaign will evolve, but with the size of Luxembourg, it was especially challenging to try membership and to try a new model of financing a media outlet in such a small country," he said, adding that other media outlets were sceptical that crowdfunding would prove successful, since it is not a common approach in Luxembourg. When it launches in the spring, Reporter will have an editorial team of four if the extended crowdfunding goal is met, with the aim of adding a fifth full-time staff member within the first year. The founders held their first meeting with early subscribers on 28 November, and people expressed a desire to have more opportunities to interact with journalists beyond just commenting on articles or on social media, but to do so in a more formal and secure way on the platform that Reporter is currently building. "It's the whole debate about political independence in Luxembourg that's driving this project actually, and that is also the most important point that most of the subscribers are making at this early stage. "It's less about the monopolisation of media ownership – that's a problem too – but [political independence] is one of the main reasons why people are contributing to the campaign."